Bass-Baritone Opera Singer Rafael Porto - Alpha Artists Management, LLC. The Brazilian-American bass-baritone Rafael Porto is a recent graduate of the Jacobs School of Music at Indiana University where he began to hone his craft in the early stages of this career. As a result, he has been honored as an advanced participant by the Metropolitan Opera National Council auditions twice, the National Orpheus Vocal Competition, National Society of Arts and Letters, Classical Singer Competition, the Eleanor McCollum Competition and the Montefeltro Music Festival Scholarship in addition to several academic Fellowships. Recent and upcoming: Mr. Porto made his professional debut with Indianapolis Opera as the Commissioner in Madama Butterfly and later returned as Billy Jackrabbit/Castro in La Fanciulla del West. He was reengaged with the company the following season to sing the role of Don Basilio in Il barbiere di Siviglia and completed their season in Man from La Mancha. This past fall he sang with Nashville Opera in the role of the Sacristan and Jailer in Tosca; began his residency with Florida Grand Opera where he performed the role of the Capitán in Florencia en el Amazonas and covered Riolobo. In addition, he also sings the 1st Nazarene in Salome and covered the role of Raimondo in Lucia di Lammermoor. He made his Lincoln Center’s Rose Theater debut this past season as Dr. Grenvil in La traviata with the Philharmonia Orchestra of New York. 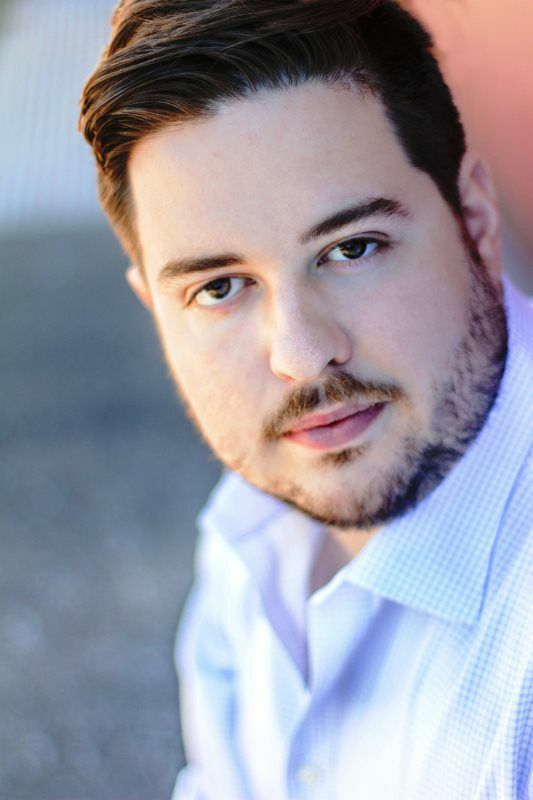 This past summer he was heard as Bartolo in Il barbiere di Siviglia with the Northern Lights Music Festival under the baton of Gavriel Heine; returned to Florida Grand Opera this season as Bartolo in Le nozze di Figaro, covers Colline in La bohème; covers Johann in Werther and returns to Nashville Opera as Luther/Crespel in Les contes d’Hoffmann. In the summer of 2019 he is invited to attend the Merola Program of San Francisco Opera. Other recent highlights include: Fabrizio in La gazza ladra, Colline (La bohème) as covers with The Glimmerglass Festival; Dr. Bartolo (Il barbiere di Siviglia), Sarastro (Die Zauberflöte), Musfafà (L’italiana in Algeri) with Indiana University Opera Theater; Dulcamara (L’elisir d’amore), Dr. Bartolo (Le nozze di Figaro), Norton (La cambiale di matrimonio) with the Montefeltro Music Festival; the title role (Gianni Schicchi), Sir Joseph Porter (HMS Pinafore), Frank (Die Fledermaus) and the Sprecher (Die Zauberflöte) with Butler Opera Theater. On the concert stage Rafael Porto has been guest soloist in Beethoven’s Symphony No. 9; Mozart’s Requiem, Bach’s St. John Passion, P.Q. Phang’s A Vietnamese Requiem, Mozart’s Regina coeli, Mendelssohn’s Die erste Walpurgisnacht and Elijah; and Vaughn Williams’ Serenade to Music. He has worked under the baton of Emanuele Andrizzi, Marzio Conti, David Effron, Arthur Fagen, Raymond Leppard, Paul Nadler, Joseph Rescigno, Ramón Tebar and Alberto Zedda; and has worked with directors Chris Alexander, Garnett Bruce, Jose Maria Condemi, Candace Evans, John Hoomes, Peter Kazaras, Julia Pevzner and Bernard Uzan. Rafael Porto holds an M.Music in Vocal Performance from Indiana University and a B.Music in Vocal Performance from Butler University. Mr. Porto received further professional training at The Glimmerglass Festival and the Montefeltro Festival in Italy. As the steamer’s Capitán and possibly the only untroubled soul on the boat, Rafael Porto brought a genial manner and warm humanity to the role.